Stop attacking yourself. Stop it. STOP THE MADNESS. If you really pay attention to that critic living in your head and you talk to yourself using his voice, you will feel terrible . . . and you may even start to believe what he is saying. I used to be horribly crippled with self-criticism. Though I have grown a lot, I still have to remember to cut myself some slack once in a while. I was dealing with my son one morning recently, and I was frustrated and kind of impatient with him. Later that day, I was attacking myself because I wasn’t living up to my own expectations as a father. While I used to do that to myself constantly, I don’t very often anymore, so I had to take a step back and ask myself what was going on. Every thought, every perception, from the moment I’d woken up was heavy and negative. Not only had that mindset led to a disappointing morning with my son, it had kept the pain of that interaction fresh for me all day. Changing your mindset takes practice. Practice giving yourself some compassion; some forgiveness; some peace. So, you’re frustrated with your son . . . learn from it. You’re human. You should always be learning. You should always be growing. Give yourself a break. So you said the wrong thing; so you struck out with that girl; so you were nervous during the big presentation. So what? You’re human. Show yourself the same compassion you would show anyone else. Now, a lot of my clients will say something like, “Well, Aziz, it’s not that simple. You can’t just decide to do that.” Actually, yes, you can . . . and making that decision—choosing to change—is the first step. 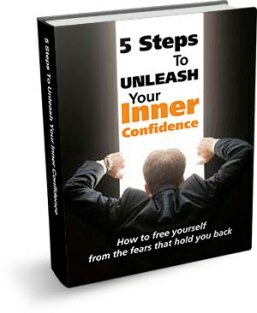 If you want tremendous tools on how to do that, you can begin to dig a little deeper through my program, The Confidence Code (yourconfidencecode.com). 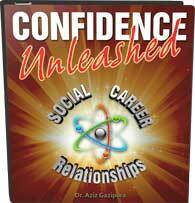 The Confidence Code will teach you all about self-esteem and social skills. In fact, the whole first half of the program is all about how to change the way that you talk and relate to yourself so that you can start to see yourself for who you really are. Whether you choose to develop these tools through my program or somewhere else, start by making the decision to shift the way that you talk to yourself. You have to wake up and decide to end the madness. Then you’ll have the motivation to get out there and find the tools that you need to keep at it and become more compassionate with yourself. Take this chance with me. Your life really will shift for the better, and it will start with the way you feel from the moment you make that decision. Ultimately, you will learn to love yourself for who you truly are. If you want to learn more, check out the Confidence Code! You can also “like” or subscribe below and leave a comment. I love to be in touch and read about how these practices affect you. Until we meet again, may you have the courage to be who you are and know that you’re awesome. your blogs and all stuff is mindblowing;; its life changing and affects imediately, you knpw all that take to be confident.